AIIB Voting Power: How Does It Compare to the other MDBs and What Does it Mean for the US and Japan? In our previous post, we calculated voting power in the Asian Infrastructure Investment Bank (AIIB), using the formula published in the bank’s articles of agreement. 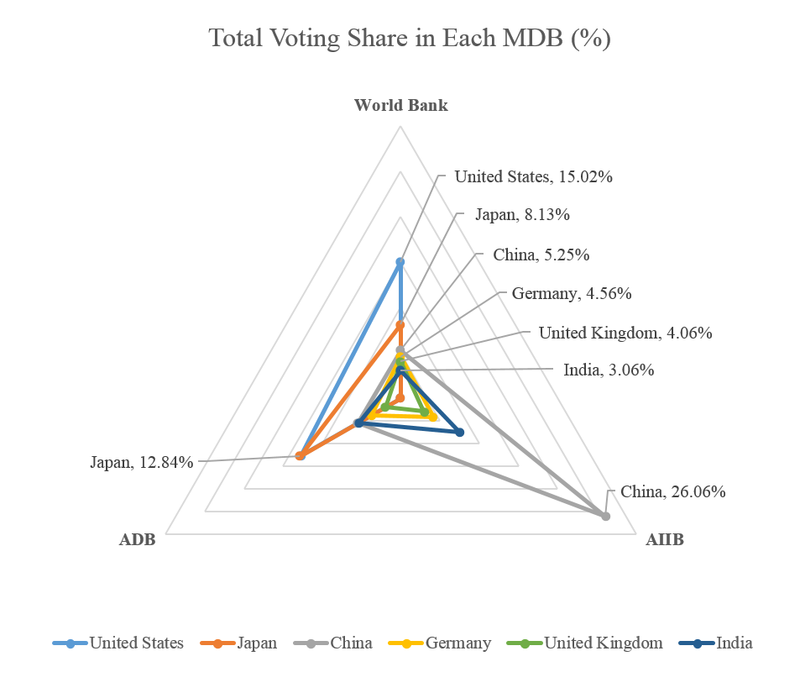 Here we compare AIIB voting power to that of the World Bank and Asian Development Bank (ADB), the other two major multilateral development banks MDBs) active in Asia. Will the United States Be Able to Go Big on the African Development Fund This Year? Will donors be able to “go big” on the African Development Fund (AfDF) this year, even if they want to? Here in the United States, budget austerity and restrictive funding rules stack the deck against any bold moves when it comes to multilateral contributions. But I think boldness in support of smart multilateral investments like AfDF may still be possible, and the United Kingdom’s multilateral aid review just might offer some clues on how to get there. My guest on this Wonkcast is Alan Kyerematen, Ghana's former Minister of Trade, Industry and President’s Special Initiatives and one of nine candidates to be the next head of the World Trade Organization (WTO). In our interview, Minister Kyerematen tells me he possesses the skills and vision needed to lead the WTO. Morris, a newly arrived CGD visiting policy fellow, was previously the deputy assistant secretary for development finance and debt at the U.S. Treasury Department, where he led US engagement with the multilateral development banks. A month after the inauguration, it’s not too early for the White House to start thinking about legacies. President Obama will surely want some signature development achievement that will outlive his Administration and help, in the public mind, to solidify the connections between Africa and the American people. To be worthy of a US President, and especially one with a family connection to the continent, it has to be something great. Bill Clinton has AGOA. George W.